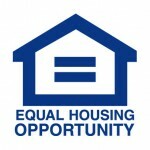 Seeking rentals in Spokane County? Take a look at our listings below. Click the "Schedule Viewing" button below to find a convenient time to visit the rental property. We update this page frequently with new listings; if you don't see anything currently, check back soon.